It's Christmas Eve! Much excitement was in the air when we started our day. 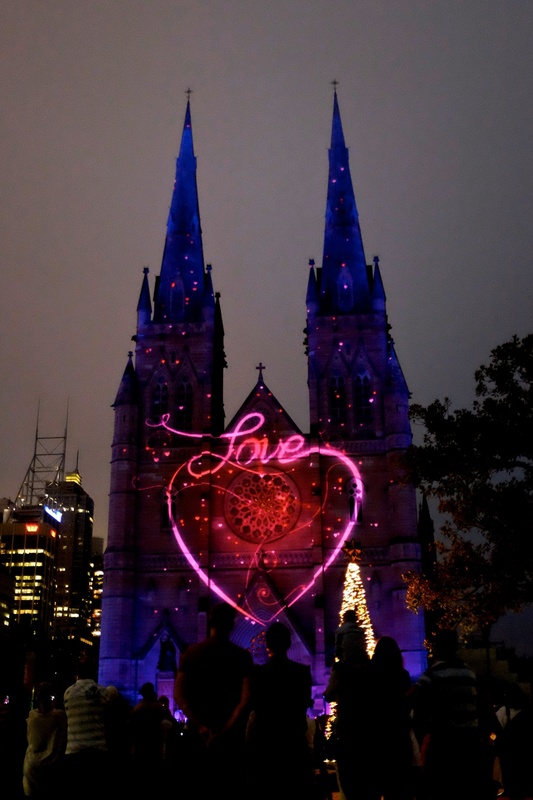 We had a few missions to accomplish first before heading into Sydney's CBD (Central Business District). First up was our search for stockings. Despite checking a number of stores, this mission was sadly unsuccessful as they were all sold out. Thankfully, our lovely hosts had offered us a backup option as they had a few extras, so we didn't have to pull our hair out last minute! Surprisingly the Bondi Junction Shopping Center was not as busy as I thought it would be on Christmas Eve. 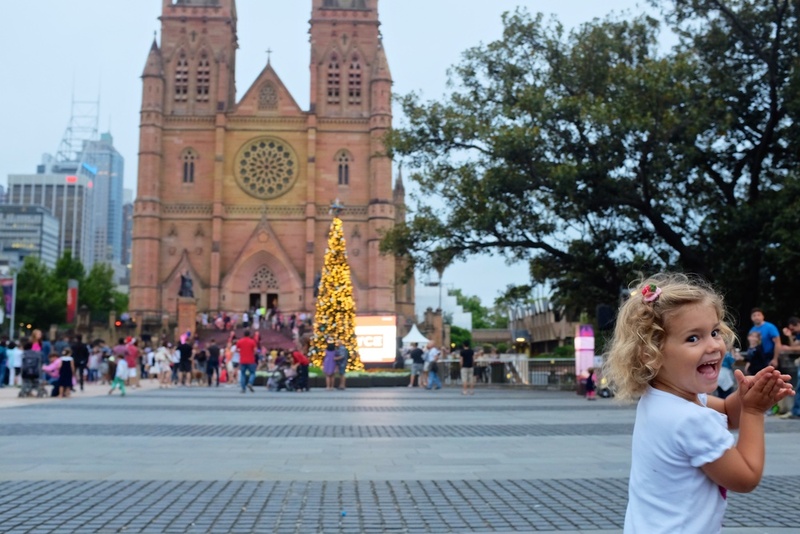 Either the Aussies are really on top of their Christmas shopping, or they are just super relaxed about their gift giving (as they seemed to be in everything else). Another item we had our eyes out for were small Santa hats, which Kian and Hannah randomly had decided they wanted for Ginger (Hannah's baby doll) and Boney (Kian's stuffed animal dog). Why we indulged this request I am not sure of, but we did, so we searched a number of stores for these as well. Since we couldn't find small Santa hats anywhere, we ended up buying a tiny Christmas shirt for Boney and a little dress for Ginger from... wait for it....a pet store! Haha! Ah the silly things we do. Both kids were totally happy about this, despite the fact that Ginger's pet dress looked really funny on her. While we were searching for the small Santa hats, Kian decided that he would love to dress up as an elf. You might recall from his list that a Toy Elf was #1! We gave in when we saw how adorable he looked and honestly none of these items had a big price tag. Our next mission was meeting the big guy, Santa Claus, before he had to head back to the North Pole and start delivering presents to children all around the world. Thankfully, this mission was very successful, as he was conveniently just hanging out at the mall in Bondi Junction! Despite the long wait, Kian and Hannah enjoyed meeting Santa in his beautiful sleigh and had a nice chat with him. Santa reminded them to leave out some food for his reindeer. 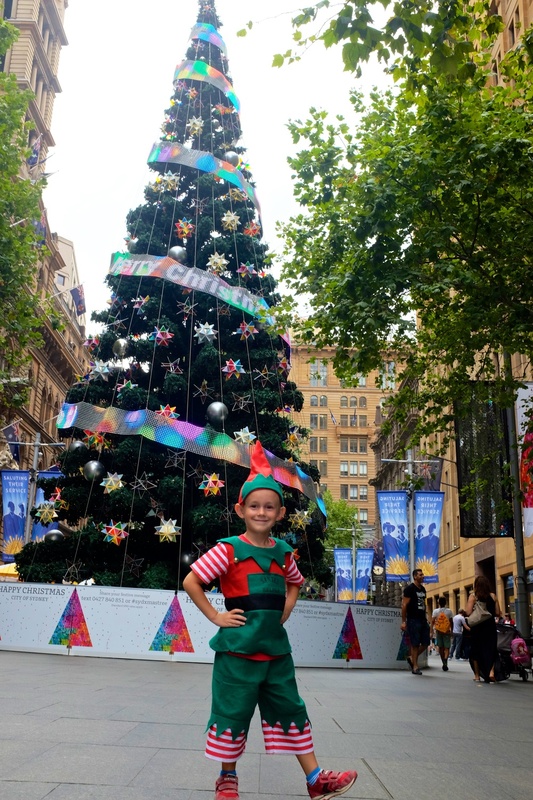 With great pictures in tow, we headed off to Martin Place to see the famous Christmas tree. As with any business district around the holidays, the place was practically empty when we reached it! This was awesome for us and for taking pictures! It made me miss seeing the Rockefeller Christmas Tree in New York City every year, but I was not missing the cold or the crazy crowd. 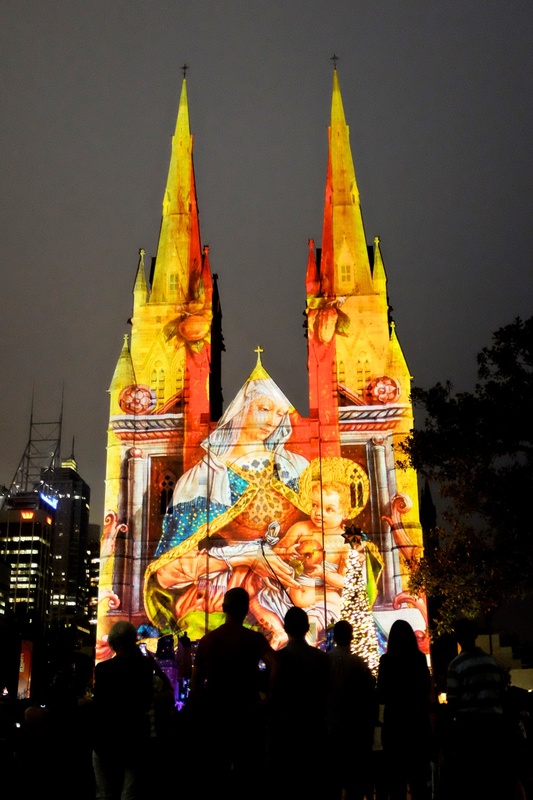 After seeing the tree, we had a quick meal at a Chinese restaurant and continued towards St. Mary's Cathedral to see the light show. 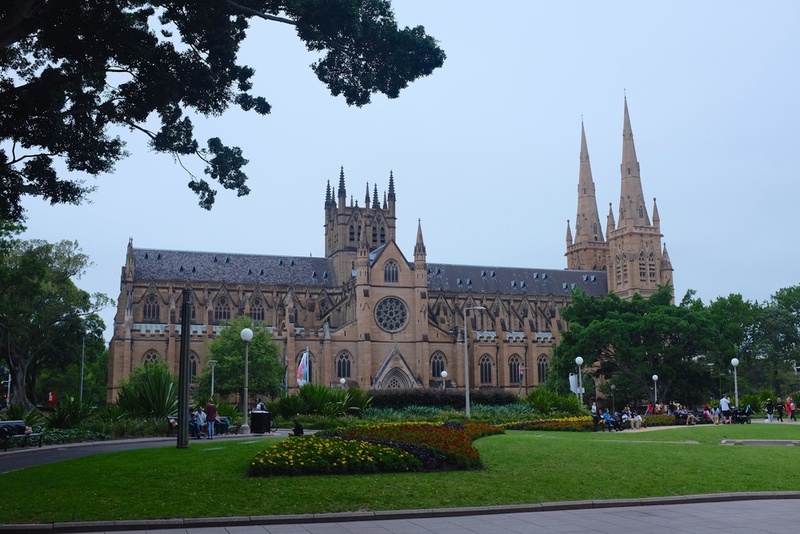 We ended up walking through Hyde Park to get there, which was quite convenient since that was on our list of places to check out in Sydney. We arrived a bit early, which meant we got pretty decent seats on the bleachers. 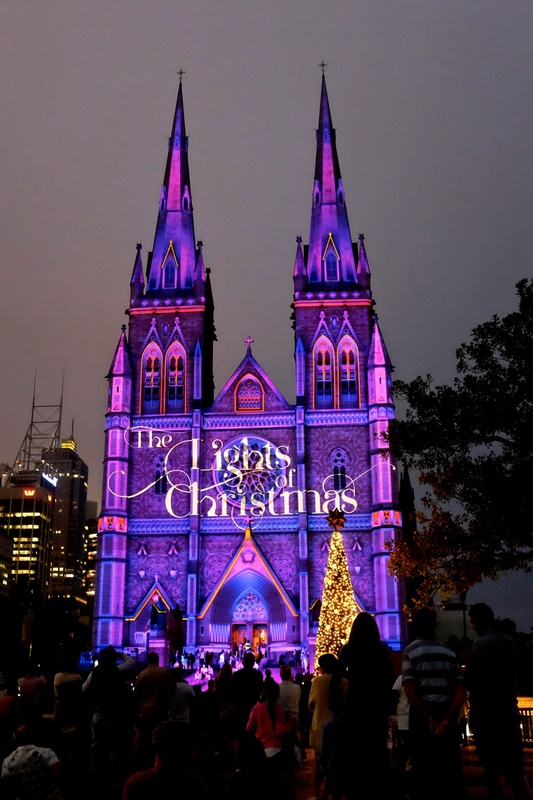 You can also watch the light show standing up to the sides or closer to the church building, but we enjoyed having good seats and just listening to the choir sing. Hannah had fun being silly and running around, and inspired a few other waiting kids to be silly with her. As we waited for the show to start, we noticed giant bats flying in the sky and then hanging off of some trees next to the church! I have never seen such big bats before!! They are so big they are called flying foxes, it is a fitting name! Since we couldn't get any good pictures, check them out on Wikipedia. The light show started around 8:30PM and lasted about 15 minutes. It was beautiful and definitely worth seeing. 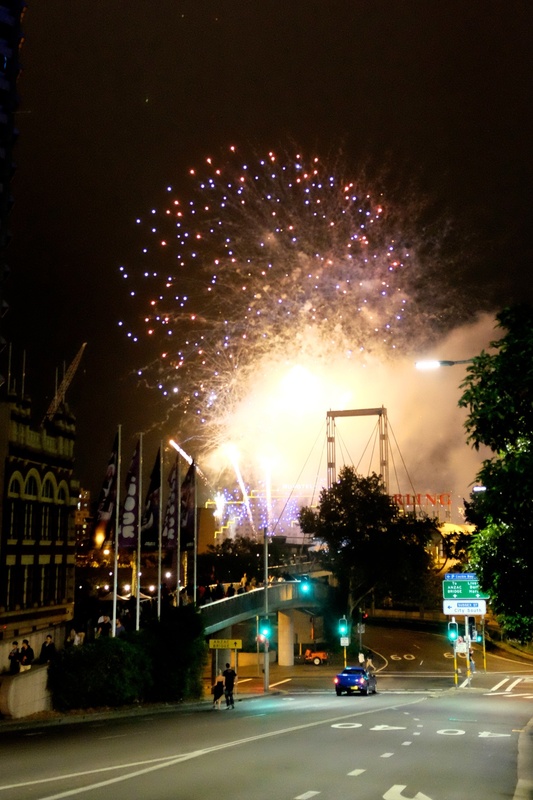 After the show, we started to take a walk to Darling Harbour where we knew there would be fireworks around 9. 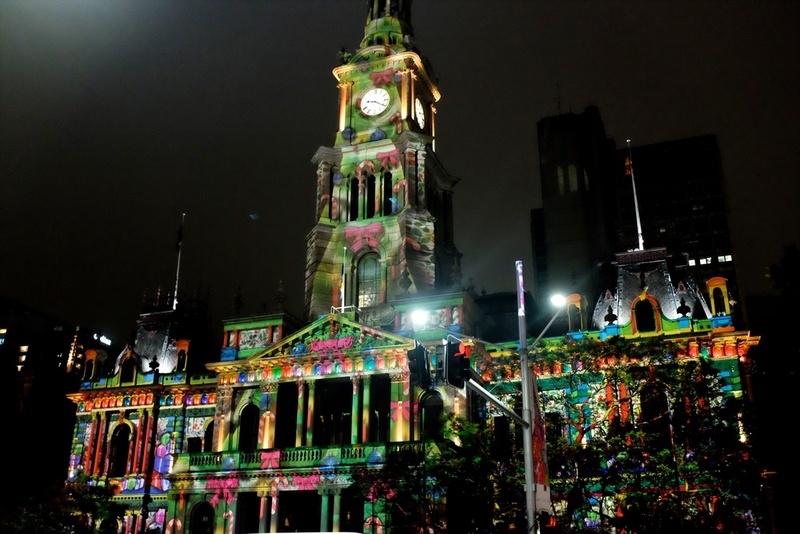 Along the way, we enjoyed the Christmas display windows of the David Jones Store, saw a Surfer Santa made of Legos, and ended up catching the last bit of fireworks over the Harbour. On our way to the trains we also caught a separate light show on the Townhall. We stood around for a few minutes, but since we were all very tired from our overly packed day, we headed for our train home. Both our kids were exhausted and took a nice little nap on the train. We ended up catching a taxi back to the house, since the buses had stopped running and our walking legs had filled up their quota for the day. The kids managed to be awake enough to put out cookies and carrots for Santa and his reindeer. They then went off to bed, hoping to hear a sleigh bell or catch a glimpse of Santa at some point during the night. Tomorrow, will be an exciting day! This morning we woke up to find Elmer blocking the door! Next to him was a laptop with a note on it, "Check your Email" it said. In the inbox, there was a message for each kid from Santa Claus. They each watched their video message and were excited and unsure at the same time. Thanks Elmer! Only 1 more sleep!